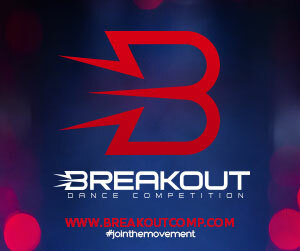 Our high energy Throw Down Dance Off sets Throw Down Dance Challenge (TDDC) apart! TDDC includes dance styles like Ballet, Tap, Jazz, Lyrical, Contemporary, Pointe, Hip-Hop, Musical Theatre, Open, Acro and Acro Dance – plus a Photogenic category. We offer Solo Titles without paying extra, and Duo/Trios each receive a trophy for adjudication. TDDC is also known for its Scholarships, High Scores in all Categories, Most Broadway Bound, Best Costume, Junior/Senior Diamond Award, Choreography Awards, Super Studio Award, Junior/Senior Top Technique, Special Judges Awards, Studio Sportsmanship Award and various Monetary Awards. Jason Warley, Elliot Bradley, Danielle Mondi, Jon Merced, Maureen Dicker, Christopher Bloom, David Paul Kidder, Karin Rendelman, Joseph Tudor, Justin Wingenroth, Kari Williams, Karina Teran, Rachel Anne Evans, Marlowe Davis, Dan Castilione, Jason Marquette, Pamela Yasutake and Noel Marie Rossi. Pennsylvania Dates and Location Coming Soon!